Several weeks ago, I mentioned in passing that football (or what in some places is called soccer) is the most popular sport in Eritrea. In response, some have suggested that I was mistaken. Allow me to clarify. In Eritrea, football is the most popular sport because cycling is beyond merely a sport and instead assumes a societal position that is more along the lines of a religion. 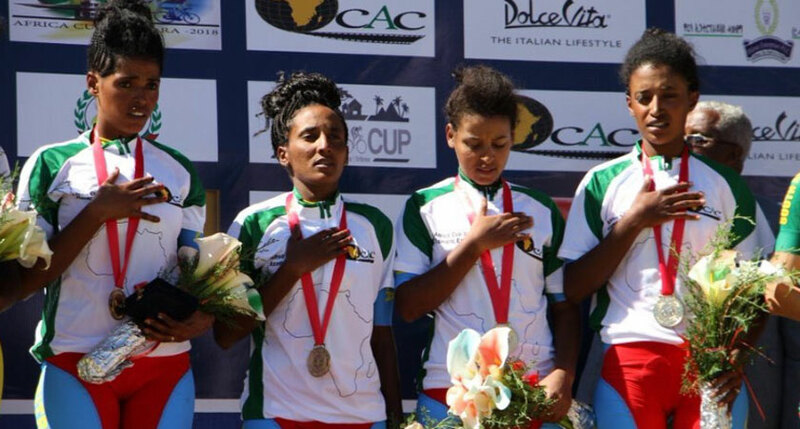 The great popularity of cycling in Eritrea was again in evidence during the past week as the country played host to the inaugural Africa Cup cycling competition. The Africa Cup was hosted through the cooperation of the Eritrean Cycling Federation and the African Cycling Confederation (CAC, which is also known as the Confédération Africaine de Cyclisme). It was also supported by the International Cycling Union (UCI, also known as Union Cycliste Internationale), the Switzerland-based world governing body which oversees international competitive cycling events. The Africa Cup, featuring various races in several categories among both men and women, ran from November 21st to 25th, with races taking place in Asmara. A total of eight countries from across the continent took part in the competition: Eritrea, as host, as well as Benin, Egypt, Ethiopia, Nigeria, Rwanda, Seychelles, and South Africa. Eritrea put in a dominant display, dazzling many and winning a total of 21 medals – 10 Gold, 6 Silver, and 5 Bronze. After the competition kicked off early last week, I caught several of the races and also closely followed along on Eri-TV, which featured live television coverage. Speaking as an Eritrean, it was a great honor that Eritrea, one of the youngest nations on the continent and in the world, was awarded the special privilege of hosting the first edition of such an important competition. Throughout the week, I was highly impressed by the organization, professionalism, and smooth running of the competition. Hosting an event on the scale of the Africa Cup is a large undertaking and all those who were involved in putting on such an amazing show merit our appreciation and applause. I was also very impressed by the quality of competition and the large number of talented young riders. Team Eritrea made us all proud and we now have several more national sporting heroes to feel good about. One of the special highlights for me was seeing our young female athletes compete and represent their country so admirably. Eritrea’s female athletes demonstrate not only great physical strength and stamina, but also leadership, strategic thinking, courage, and tenacity. It is important to note that sport has huge potential to empower women and girls. In many countries, it has been recognized that sport can improve girls’ and women’s self-esteem and be a force to tear down gender barriers and discrimination. Throughout the duration of the Africa Cup, our female athletes put in strong performances in challenging conditions, which should defy any lingering misperceptions that they are weak or incapable. They demonstrated not only great physical strength and stamina, but also leadership, strategic thinking, courage, and tenacity. The fans also deserve great credit. Large crowds, filled with many youngsters, came out to passionately support Eritrea’s next generation of cycling stars and they also provided a warm, gracious welcome to the visiting athletes and fans. As I observed the young local fans cheering and singing excitedly, I could not help but think that some of them would go on to one day represent their nation in major races. 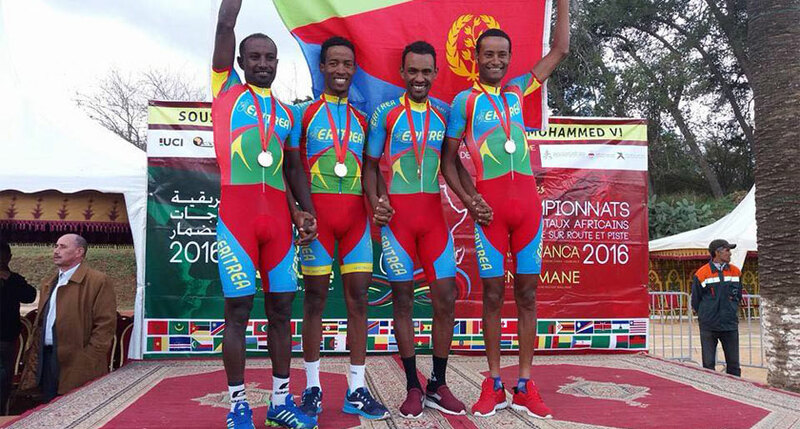 I genuinely hope that the Africa Cup is just a harbinger of things to come for Eritrean cycling. Our athletes, both male and female, are so talented and we should all continue to support and encourage them. While the competition was a reminder of just how deep our nation’s cycling talent is, we must not be complacent. Eritrea has so much more to achieve. We still need to invest in better facilities, sponsorships, and development programs in order to ensure that we properly develop and nurture our vast array of talent. If we do this, we can achieve much more in the future.